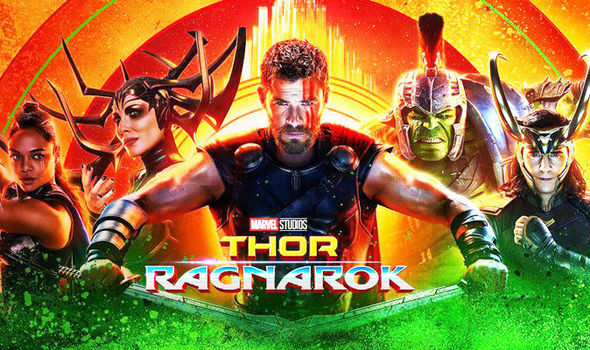 Right - first off, Thor: Ragnarok absolutely wasn't what I expected, or even wanted, a Thor film to be. It throws out over half of the established characterisation of the central character, tosses out significant MCU supporting cast members without a thought and replaces them with people we have no reason or opportunity to care about. But damn - it's hard to hold any of that against a film that made me so incredibly happy for over 2 hours. So I guess we're talking about Hela here, for the most part - and, honestly, there really isn't that much to say. It's a wonderful performance and a terrific look. Once you get past that, though, she's a motiveless monster with no plan and nothing to fight for. She just wants to rule Asgard - even if that means killing literally every living thing that exists there. Then... what, exactly? Use her zombie army to conquer other worlds, I guess? Pretty sure there are enough Celestial-level threats out there to put a stop to that. Beyond Hela, we've got Surtur (an off-the-rack CGI fire demon destined to destroy Asgard) and The Grandmaster (an inexplicable cosmic narcissist and planetary-scale game show host). Jeff Goldblum basically watched Benicio Del Toro's performance as The Collector and thought, "too subtle?". Both are fine, as far as they go, although you get the feeling that no-one ever really explained to Goldblum where he was and what was going on. I'm not even convinced he knew there was a camera on him. Doesn't matter. The whole film is just a Korg delivery vehicle. Every second of screen time they waste on any other character is irrelevant. More seriously, though, there's a lot going on in this film. Thor and Loki struggle toward some kind of mutual understanding, while Hulk and Banner do the opposite. Hela is an impossibly powerful threat, a time bomb ticking loudly in the background for most of the film. There's not much back and forth between Thor and Hela, as he's kept busy by The Grandmaster most of the time. In fact, it's Heimdall who does most of the heavy lifting on Asgard in opposing her. The various story threads unravel largely separately, only weaving together at the end. It's a pretty unconventional structure for an MCU film, but it all still works. Honestly, Thor: Ragnarok takes more away from the MCU than it gives. Sure, we get Valkyrie and a few gladiator characters, but we lose Volstagg, Fandral, Hogun, Odin, the entire realm of Asgard and Jane Foster. There's no word on Sif, and new additions like Skurge, Surtur and Hela are either killed or written out. The entire surviving population of Asgard apparently fits into a single spaceship, which winds up on Earth. Given that even an Asgardian plumber is probably at least as powerful as Spider-Man, we just ramped up the superhuman population by a hefty margin. It remains to be seen if anything's going to be made of that, though. Honestly, it wouldn't surprise me if the Asgardians were quietly sidelined while the upcoming Thanos unpleasantness shakes itself out. It's cool - Avengers Assemble was ages ago. No-one's going to remember all those people Loki killed. Oh, hey - giant deathship! While we're at it, The Goldblumster survived and still hasn't worked out he's in a movie. This is the first MCU film that had me laughing out loud in the cinema. Any gripes or criticisms I might have are entirely secondary to that fact. Weirdly, you'd have to count this as the highest bodycount of the series to date. 600 on the nose, according to the people who track these things. Although nothing much was made of it, we also saw a severe and unceremonious scything off of figures from previous films. Only Hogun made a half-decent account of himself. Everyone else went down like a crude simile clumsily inserted at the end of a blog post for minor shock value. Who the Hell is Cy? I'm a British comics writer and former professional magician, currently kicking bloody great lumps out of the British comics industry. Buy Direct From Cy Via Paypal!